What’s in a name? Everything. The Series 600 Window Wall replaces exterior barriers with expanses of glass that let in light and frame beautiful views. 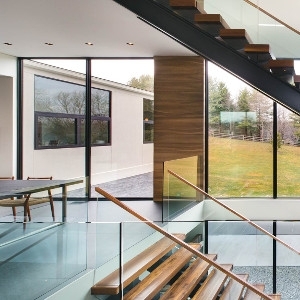 Completely customizable, a limitless array of openings – from single-panel to door-size to openings that span an entire wall – allow you to create views from various sizes and shapes of glass. And because the Series 600 is designed to integrate with various ventilating window styles as well as our hinged and sliding doors, it’s flexible as well as functional. Start by selecting your Series 600 Window Wall in classic aluminum or energy-efficient thermally broken aluminum. Dual-paned low-E glass reflects heat while allowing light to pass through. Sill and stop options and countless sizes, configurations, and finishes let you customize as you see fit. And because the Series 600 is aluminum, it’s low maintenance, too. © 2019 Christmas Lumber. All rights reserved.